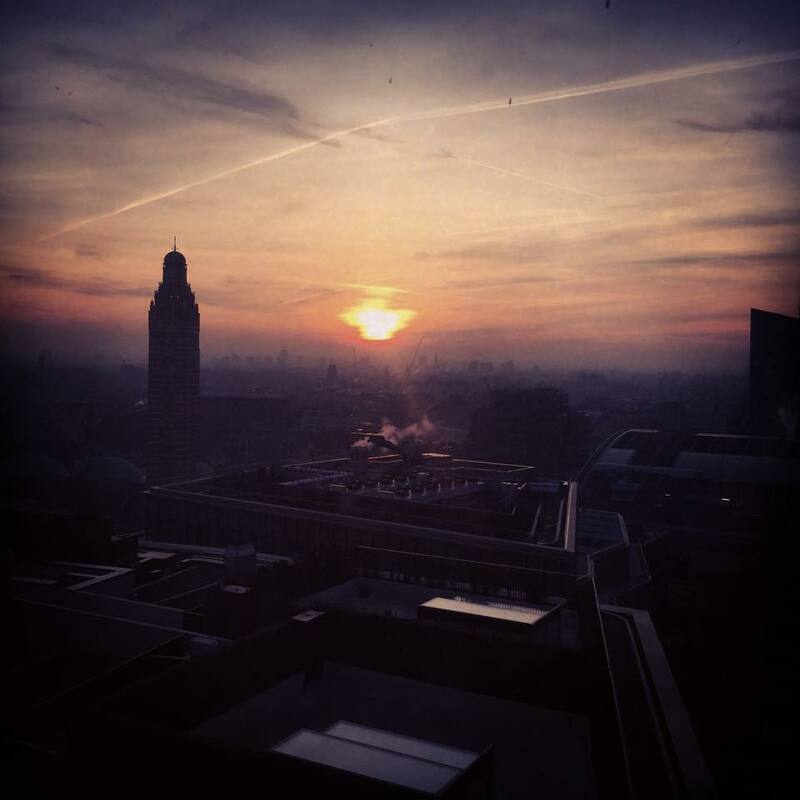 The 17th floor of Westminster City Hall turns out to be a great place from which to watch the sun set over the London skyline and I was lucky enough to find myself there at the right time yesterday. Alongside checking out the amazing view I was there to join a panel of speakers for WestCo’s The Future of Digital and Customer Engagement event and it led to an interesting debate and sharing of ideas and experience around building better public services, and doing things better in the private sector. There was lots of interesting and varied views and experience shared by the panel on this. For my part I talked about assumptions, specifically challenging your assumptions as communicators, when looking at customer journeys, sales funnels and experience. This included talking again about how today’s 10-year-olds simply can’t imagine a world where media wasn’t on demand, round the clock and totally within their control (I talked about that in more detail here). It’s about truly turning the organisation and your communication to put the customer (user / person) at the forefront, letting your own needs follow in the wake of their satisfaction. Certainly in the public sector it is about being more flexible (within the constraints of slashed budgets, reduced teams, and defiantly hierarchical and 9-5 based business models) in the channels used and their deployment. It’s about seeing the bigger picture of your audiences, their needs and your aims with a coherent content strategy, but also being obsessed with the detail of delivery and the curiosity to iterate. During the discussion Poli posed a question to the panel about what innovation looks like to us. While I mentioned chat bots and automated response technology for me it is not about the newest tools but about iterating consistently and constantly the channels already deployed. The public sector is still poor at researching upfront what it is they should build (or defining the problem alongside the customer and the service, instead of hunting a problem because a solution is already in hand) but also at doing longer term and actionable evaluation and usability testing. As communications or marketing professionals the problem of product (or service) is as much your problem as talking about it. Use your research and evaluation not only to react to customers but to push back into the business for better product (or service). Nailing this constant improvement cycle would be innovative in the public sector right now. This blurring of roles between communication and customer service also came up in the debate but truly the mix is wider than this. I say, not for the first time, that all communications is digital but digital is not solely communications. As a phrase it is ambiguous and used synonymously to mean communications, technology, service design, transformation, customer service, service delivery and many more disparate business functions. The truth is that digital is all and none of these things, a part of every business function, it *is* your business whether you deliver only online or not. As communicators the direct delivery you do may be at a distinct point in the customer journey but in the public sector you’re probably being asked, expected or left little choice but to get involved with the wider design and delivery. This means asking challenging and fundamental questions about what your business is doing and why, it means supporting the organisation to accept and act on uncomfortable answers. It then means developing your skills in areas that may have been less used for traditional channels – research and insight, usability and accessibility, an understanding of technology, an understanding of behaviour and psychology of design, more of that endless curiosity and openness to iterating. If you stick to doing what you’ve always done, you’ll get what you always got. Time to evolve communicators. A word that kept coming up throughout the debate was empathy, and its importance in understanding our customers, in designing journeys and in communicating about them. I was pleased to see that the importance of empathy is starting to be recognised but a little worried by the fear in the room that due to the pressure public sector are under there isn’t room to bring in empathy: we have to deliver to savings whether that is truly best for the customer or not. I think this comes from a common misunderstanding across the public sector, and one which was bolstered by the recent and ongoing trend for channel shift. Generalisations are dangerous and I believe this one has been particularly damaging to the design of services, and the move to provision of services in online channels. By setting the objective as ‘move all services online, achieve savings’ you are setting yourself up to fail. There is a whole load of research you need to do to understand what is best for each service, and each set of customers of that service. Savings shouldn’t be directly delivered by digital, but enabled across services through improved delivery. And the organisation needs to be looked at as a whole – by moving some services online you can free up resource in other channels for services which really should be dealt with offline (because it is the empathic, but also the efficient thing to do). Overall you’ll achieve savings and greater customer satisfaction: design delivery by user and service needs, evaluate resource and savings across the whole piece. Its time to accept that designing without empathy is folly, stripping this element of user need is a red herring in achieving savings – we’re humans, design for the human experience if you want your reputation and savings to succeed. There was much in this discussion I’d like to have delved deeper into – both talking theory and getting down to some practical delivery tips. I’m hopefully that delegates went away with some sense of solidarity that we’re all tackling these issues, but also questions and ideas about how they can do something better or differently straight away. Thanks to WestCo for inviting me to be part of the panel. You can find more about WestCo and their services here.